OB/GYN | WomanPlace , Inc.
During your pregnancy, the body lowers its internal defenses against bacteria to accommodate the baby. Unfortunately, a less effective immune system puts mom and baby at a greater risk of food-borne illnesses. This leads expectant moms to become confused about food safety. •	Coffee: For those women who would not be the same without their cup of morning coffee, take heart — coffee is considered safe during pregnancy. Because caffeine can cross the placenta and affect your baby, it is smart to limit your coffee to 2 to 3 cups per day, maximum. Pregnancy hormones and metabolism can wreak havoc on your digestive system, so coffee may make you a bit more jittery than usual. If you find yourself having a hard time dealing with coffee, try to cut back even more, or go half-decaf. •	Diet Soda: The Food and Drug Administration (FDA) has deemed artificial sweeteners such as aspartame and Splenda® safe to eat during pregnancy. However, it is artificial, and Splenda® hasn’t been around long enough to research long term effects. Unless you’re diabetic, it may be worth just splurging on an occasional non-diet soft drink, and avoid artificial sweeteners altogether. •	Tea: A cup of tea can be a relaxing part of your day, and some teas can have added health benefits as well. Be sure to watch caffeine content. •	Vegetarian or Vegan Diet: because these diets tend to be very well balanced and healthy, most healthcare providers will not advise against a vegetarian or vegan diet. However, studies have shown that pregnant women on these types of diets may suffer from a B12 deficiency which can lead to serious anemia. Be sure to get extra calcium and protein if on these diets and your Vit. B complex. •	Fish:women should avoid certain types of large fish that contain high levels of mercury. There are many other types of fish and shellfish that will give them the benefits of omega-3s: Shrimp, flounder, scallops, catfish and crab are all examples of fish that are safe to eat during pregnancy. Just be sure that they are fully cooked. •	Spicy Foods: While spicy foods may wreak havoc on your digestion, and cause searing heartburn, it’s safe to eat during pregnancy. Interestingly enough, certain strong tastes can cross the placenta and babies learn to have a taste for what their mom likes. 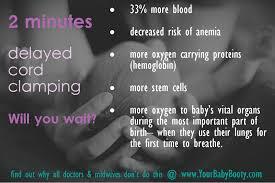 minute, red meat is safe to eat during pregnancy. If you’re concerned, eat organic, free-range meat to ease your worries. Be sure to cook your red meat medium to well done during pregnancy. •	Sugar: Pregnant women can safely consume regular sugars, in moderation. These sugars include granulated sugar, honey and brown sugar. •	Alcohol: Alcohol in any amount is unsafe for the health and development of your baby. •	Un-pasteurized Juices: Un-pasteurized juice can harbor bacteria that can affect you and your baby. Unless you’ve washed, squeezed and bottled the juice yourself, you have no idea how it was handled before it got to you. The process of pasteurization should kill all bacteria, making it a safe during pregnancy. •	Smoked/Cured Meats and Deli Meats: Cold cuts and smoked meats can harbor bacteria like E. coli and listeria, which can be very dangerous for a pregnant woman and her baby. Avoid them during pregnancy, as well hot dogs — even the ones you make at home. •	Fish: although fish is generally safe to eat during pregnancy, certain large fish which prey on smaller fish may have unsafe levels of mercury in their flesh. Avoid shark, swordfish, tilefish and king mackerel during pregnancy. Limit tuna to smaller types of tuna, and canned tuna, to about 6 ounces (170 g) per week. Is it safe to each sushi during pregnancy? According to the American Pregnancy Association, there are a few reasons why sushi should not be avoided entirely. Remember that fish offers numerous health benefits. The vitamins and nutrients which can be found in sushi can actually be beneficial to the growth and development of the baby. Keep in mind that sushi is also often cooked, so the risk of bacteria is not quite as high as one may think. Keep in mind that there are certain types of fish which should be avoided by pregnant women, no matter how they are cooked. Kajiki (swordfish), Saba (mackerel), shark, and tilefish are the four types of sushi that should be avoided during pregnancy. While most people are recommended to only eat these types of fish once a month, women who are pregnant are advised to avoid them altogether. There are other types of fish would do not need to be avoided entirely, but should be limited because they are higher in mercury than other types of fish. It is recommended that pregnant women do not eat any more than three six-ounce servings a month. This list of sushi includes shiro, hamachi, makjiki, toro, inada, meji, buri, kanpachi, masu, ahi, katsuo, and maguro. The types of fish which are used in these sushi dishes include yellowfin tuna, albacore tuna, yellowtail, bonito, bluefin tuna, bluefin, big eye, trout, and blue marlin. Although women should avoid the above mentioned types of sushi at all times during their pregnancy, there are other types which are lower in mercury. These types of fish can be enjoyed by women who are pregnant on a more regular basis. This entry was posted on May 20, 2010, in Nutrition, OB/GYN, Pregnancy and tagged bacteria, caffeine, DHA, diet, fish, mercury in fish, Nutrition, omega 3 fatty acid, pasteurized, Pregnancy, raw, safe eating. Becoming a parent is a major commitment in life. It can be met with challenges, rewards and informed choices. Before you conceive, be sure to incorporate a healthy life-style to ensure optimal health for mom and baby. Receiving pre-conceptional counseling and care can lay the ground work for a healthy lifestyle and healthy pregnancy. Good health before pregnancy can help you cope with the stress of pregnancy, labor and birth. Obtaining good health care before you conceive will help you throughout your pregnancy. It also provides you with the opportunity to find out your risks, treat any medical problems that may affect the outcome of your pregnancy and adopt or continue a healthy lifestyle. If you are planning to conceive, schedule a pre-conceptional visit with your healthcare provider. Included in your visit is a comprehensive history of your health including: Family history and risk factors, your medical history, surgical history, medications that you are presently taking including vitamins, supplements, OTC (over-the-counter) meds; your diet and lifetstyle and any past pregnancies. prior to conceiving. During this period of time, you should use a reliable method birth control. •	Do I or a member of my family have a disorder that could be inherited? •	Do I need to gain or lose weight to prepare for pregnancy? •	Should I make any changes in my lifestyle? •	Could any medications I am taking cause problems during my pregnancy? •	Can I continue my present exercise program? •	Does my work expose me to things that could be harmful during pregnancy? •	Do I need to be vaccinated for any infectious diseases before I try to conceive? This entry was posted on April 3, 2010, in OB/GYN, Pregnancy, Women's Health and tagged conceive, conception, counselling, first trimester, health, lifestyle, Nutrition, optimal health, parent, planned pregnancy, pre-conception, Pregnancy, pregnant, prenatal vitamins, rubella, vaccines, Women's Health. This entry was posted on June 14, 2009, in baby, Child birth, Nutrition, OB/GYN, Pregnancy, Women's Health.